‘ANTI-RURAL, ILL-THOUGHT out and a PR stunt’ – that’s how Michael Healy-Rae has described the new rural bus service scheme. Transport Minister Shane Ross has announced that 50 new bus routes will combat rural isolation and that they should not be seen solely as buses home for drinkers. The local link bus scheme, which will start in June, is going to run from 6pm to 11pm in a pilot project across 50 routes in 19 counties. A number of rural TDs have opposed the bill, saying it would damage rural areas, but Ross accused those TDs of behaving “like road traffic terrorists”. Some €10,000 per route will be spent on the 50 initial routes. The buses are a load of nonsense, half a million for all of the counties – between now and midnight that will be spent on buses in Dublin tonight. Minister Ross said the rural bus service was a very serious effort to tackle the problem of rural isolation. “This will go ahead whatever the fate of the drink driving bill,” he said. The project will run across 50 routes in 19 counties, including Kildare, Kerry, Cork, Laois, Offaly, Donegal, Waterford, Wexford, Cavan and Monaghan. However the Minister added that “it was offered to every country, six of them didn’t take it up”. Ross added that after six months the National Transport Authority will review every single route, adding that the benchmark for success will be left up to them. 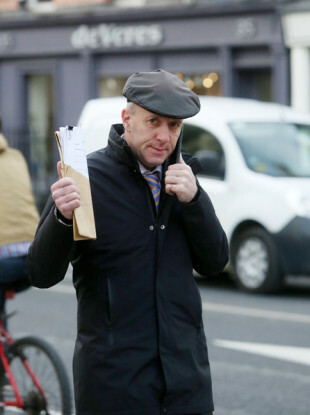 Email “'A load of nonsense': Michael Healy-Rae clashes with Shane Ross over new rural bus service scheme”. Feedback on “'A load of nonsense': Michael Healy-Rae clashes with Shane Ross over new rural bus service scheme”.